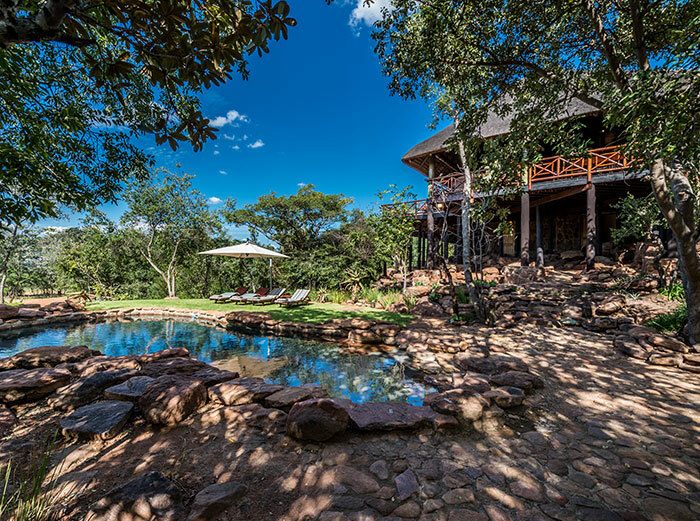 iHolidays Sekala Private Game Lodge is an exclusive lodge within the Welgevonden Game Reserve, which is home to the Big Five and is found within the Waterberg Biosphere, just two hours north of Pretoria. Guests can look forward to an uninterrupted early morning sunrise vista off the main deck whilst enjoying a cup of coffee or tea to awaken the senses. The bush comes alive on your early morning game drives and it is not uncommon to see Lion or Elephant just a stone’s throw from the game viewing vehicle going through their early morning routines. Sekala is fully catered including drinks (house wines, local beers and cool drinks) during lunch, dinner and during sundowners on the afternoon game drive providing you and your family a truly private and exclusive experience. 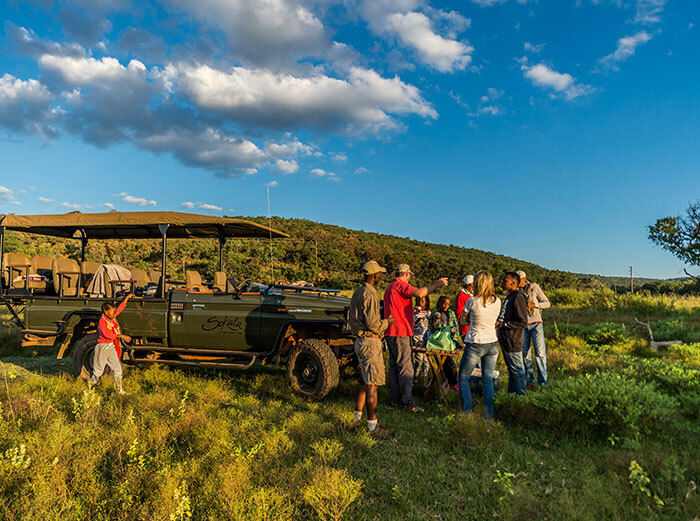 Perfectly situated in the middle of the reserve, renowned for the best game viewing in Welgevonden, you can be assured of a memorable safari experience and coupled with 5 star treatment at the lodge a holiday that memories are made of. The Lodge is located in the Malaria Free Big 5 Welgevonden Game Reserve a mere 2 1/2 to 3 hours drive or quick 45-minute flight to one of the airstrips in the reserve from Johannesburg. If you prefer the lodge has a private Heli-pad for those guests wishing to fly directly to the lodge. The main lodge consists of an expansive open plan lounge and dining area together with a bar and outside entertainment area. The swimming pool is uniquely sculptured from the African rock and a perfect place to unwind after the early morning game drive. 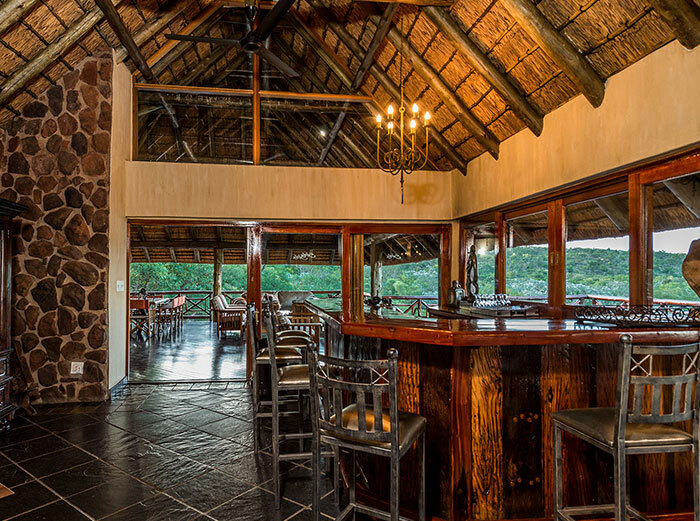 In addition, there is a Boma where you can enjoy a dinner around a fire whilst regaling stories of the day and surrounded by the night sky blanketed with stars. 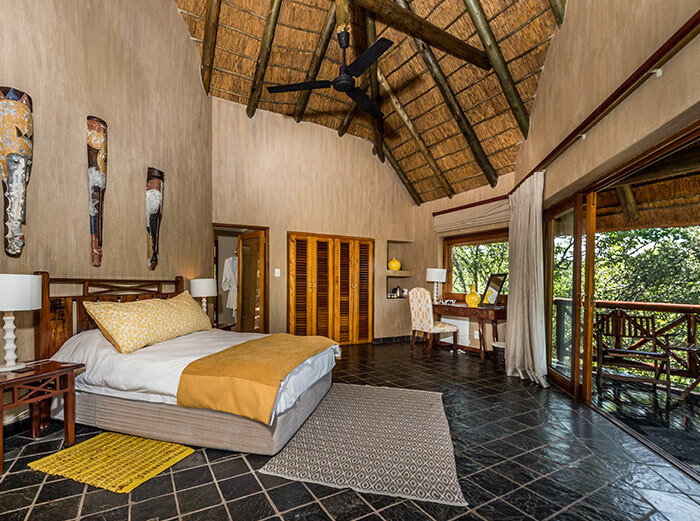 Sekala Lodge also has a private executive family suite which includes its own separate en-suite bedroom an adjoining lounge with 2 single beds for accompanying children together with its own living area and private pool. The executive suite is available on special request. Nestled in the Welgevonden bush are the individual private chalets. Guests have the choice of five separate en-suite chalets each with an outside shower. 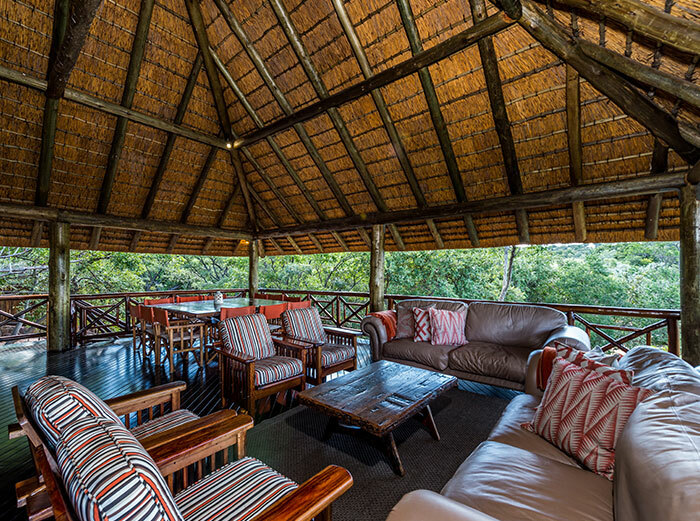 The luxurious chalets include all the amenities you may require and include a private deck from which you can savour the peace and quiet of the african bushveld. The chalets are serviced daily. The lodge accommodates a maximum of 10 guests per night. All your meals, prepared by our resident chef, are included in the fare and are served together with a selection of house wines, local beers and cool drinks of your choice. For those wishing to savour a premium wine or enjoy a Gin & Tonic on the deck we offer guests a bar service for additional spirits and drinks for their own account. Viewing deck overlooking the Waterberg mountains and private waterhole, Two Swimming Pools, Main lodge with Lounge, Dining area and huge fireplace, Bar Area, Outside entertainment area, Conference Facilities, Boma with braai facilities, Game Hide and Waterhole, Electrified Perimeter Fence, Private Game Vehicle, Private Heli-Pad at the lodge, All linen, bath towels and soaps are included. During your stay with us you can enjoy two game drives per day in the morning and evening together with your personal accredited and experienced game ranger. The morning game drives are preceded by coffee or cup of tea and a rusk and depart You will get a chance to stretch your legs during the morning drive which is accompanied with tea, coffee and our special muffins prepared each morning by our chef. Afternoon game drives include sundowners in the bush together with your snacks and favorite drink to watch the African sun bid its farewell for another day. Rolling wooded mountains cut by deep rocky ravines and majestic gorges make Welgevonden Game Reserve an evocative piece of Africa. Aptly meaning ‘well found’, this is a place of rare and rugged beauty, plentiful wildlife and prolific birdlife. Spectacular scenery and excellent game viewing make Welgevonden quite unlike anywhere else on earth. To visit here is to experience the spirit of true wilderness. 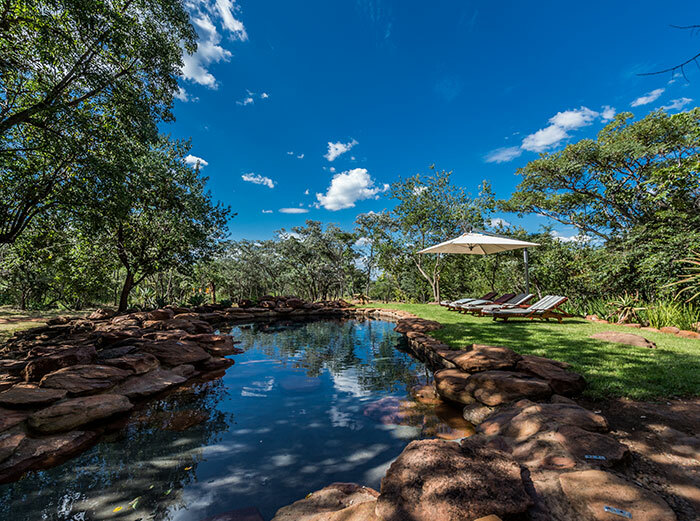 A pleasant 2.5-hour drive or an easy 45-minute flight from Johannesburg into one of the airstrips, makes Welgevonden one of the most accessible premier malaria free wilderness reserves in the country. Welgevonden Game Reserve, (Dutch for "well found"), is a 34,850 ha game reserve in the Waterberg District, of the Limpopo Province of South Africa. The reserve comprises of mountainous terrain that is dissected by deep valleys and kloofs while flat plateaus characterise most hilltops. Altitude varies from 1080 m in the north to ±1800 m in the southern section of the reserve. 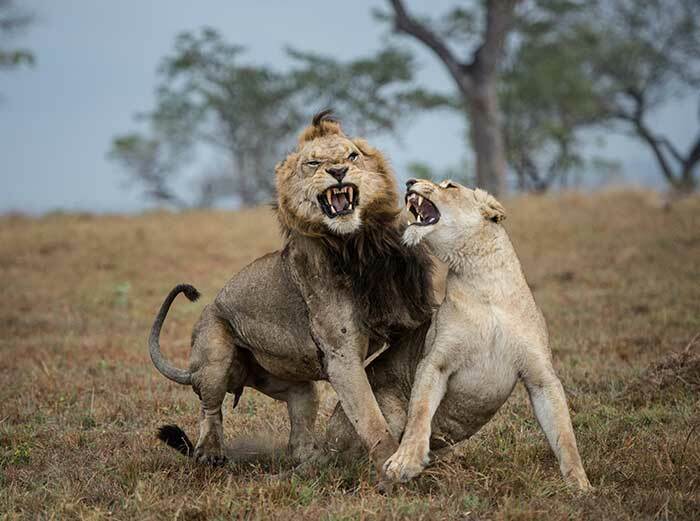 Welgevonden is home to over 50 different mammals, including the Big Five.The diversity of habitat leads to a wide range of wildlife with grassy plains abounding with antelope from the largest eland to the diminutive duiker; and cheetah, lion and leopard are regularly seen close by. There are also numerous rare and unusual species such as brown hyena, aardwolf, pangolin and aardvark – all best seen at night. Over 300 bird species can be seen on the reserve, including rare blue cranes which breed in the southern section early in the year. The evocative wilderness area offers an exclusive, intimate experience of the African bush with only a limited number of guests having access to the reserve at any one time. No private vehicles are permitted, which ensures minimal human impact and the ultimate wilderness experience. Historically, wildlife on the reserve has never been hunted so game viewing is always up close and personal. There is also ancient and delicate Bushman rock art on Welgevonden. Welgevonden offers the discerning visitor something completely different. This is mountain bush-veld with rivers running through it and sweeping views to far horizons. It’s high altitude, temperate climate and malaria free makes it worth a visit all year round. Welgevonden is certainly one of the finest places to watch wildlife, sense wilderness and touch the spirit of true Africa. Providing unique, cost effective self-catering Safari Holidays in Africa. 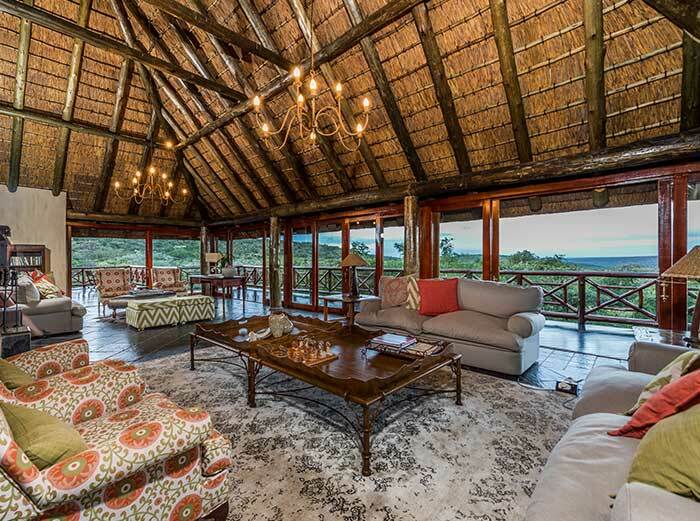 Book your exclusive lodge in the Welgevonden Game Reserve for your own private holiday in the bush. For reservation either book online or call the office to check availability. Copyright © 2019 - Six Degrees | All Rights Reserved Reserved.